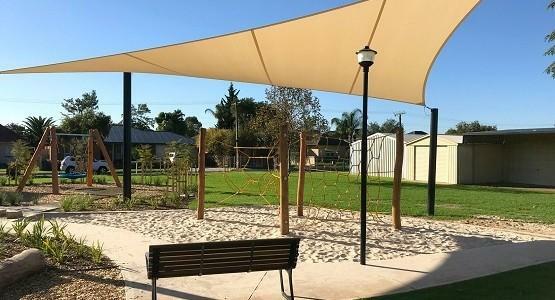 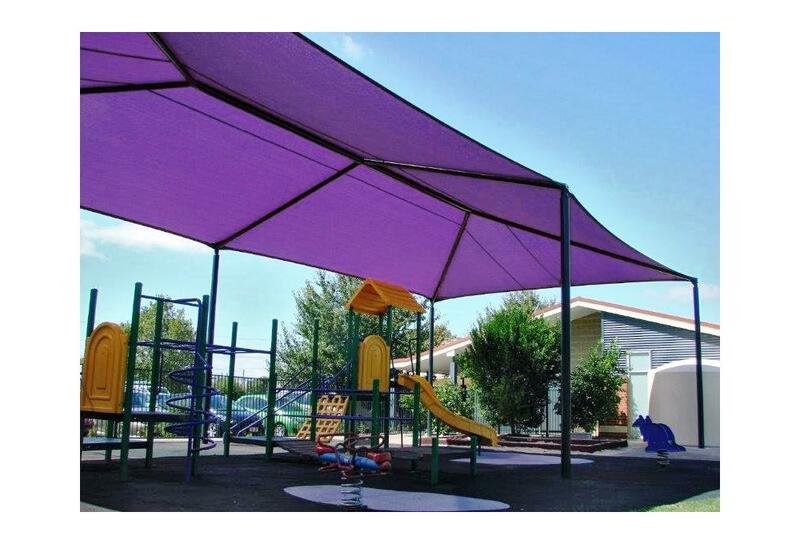 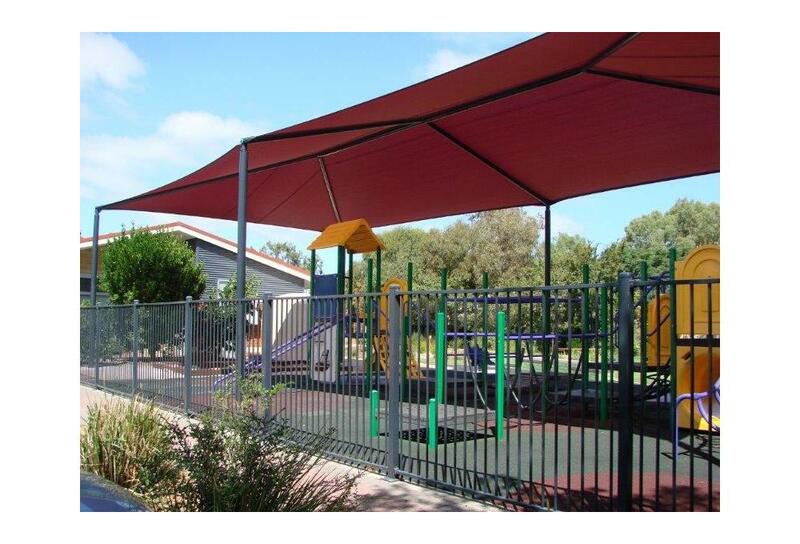 Shadeports are a uniquely designed hip-roof shade structure that provide low-maintenance and cost effective UV protection. 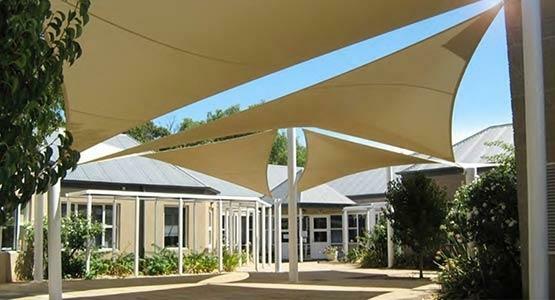 The hip-roof frame has a natural strength inherent by design, allowing for minimal member sizes while still maintaining durability. 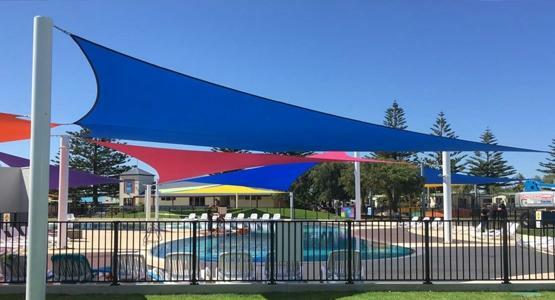 Shadport’s can also be joined together by sharing common support posts, which together with its robust design, forms a very affordable shading solution. 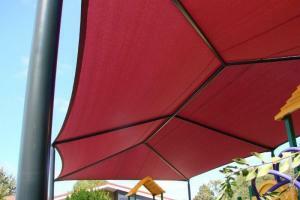 These features make the Shadeport a perfect fit for a wide variaty of external applications. 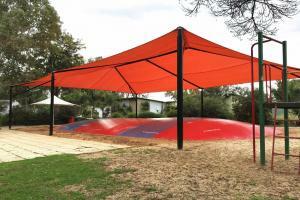 Each Shadeport is fully compliant with the current DECS policy requirements for shade structures. 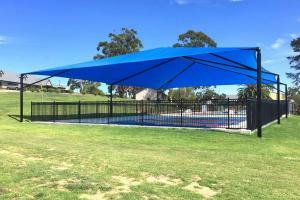 All Shadeports are engineer designed to comply with South Australian Building Codes and independently certified. 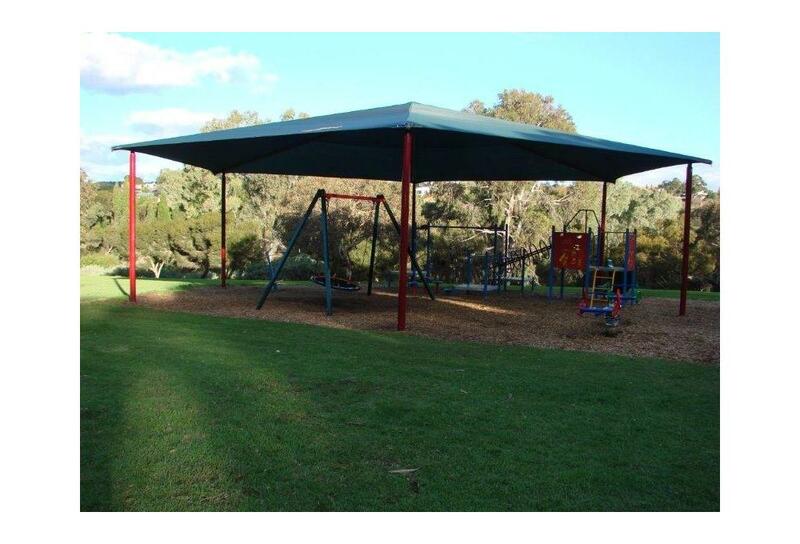 The steel frames have a 10 year structural guarantee and are fabricated from corrosion resistant galvanised Australian Steel. 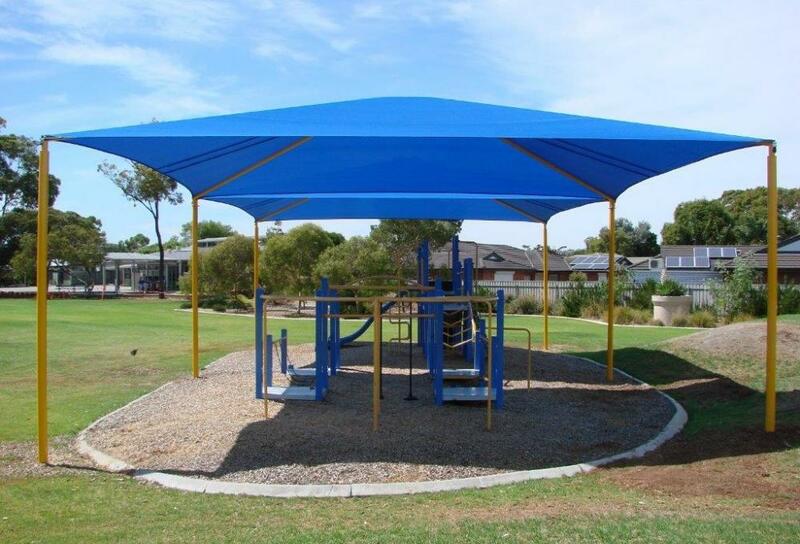 Optional powder-coating provides a colourful, tough, and extremely durable finish. 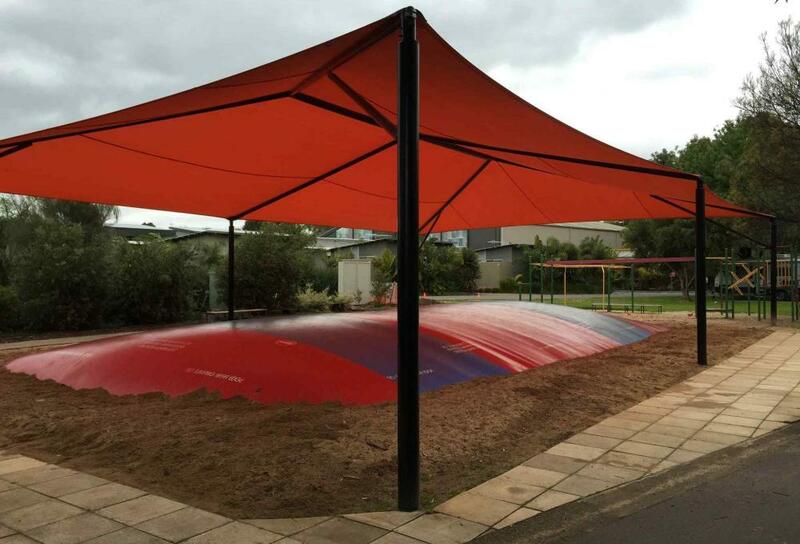 Contemporary Shadecloth fabrics are available in a wide range of colours providing up to 98% UV-B protection. 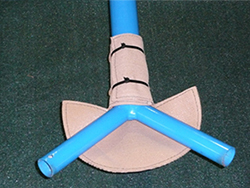 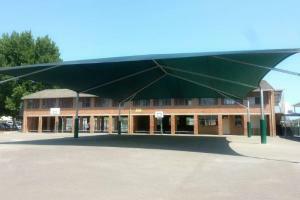 The typical layout of most shadeports, 4 posts are joined together by a hi-frame roof, supporting the shadecloth top. 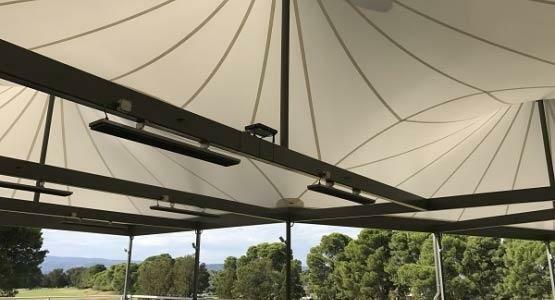 Wire tensioned to gain strength, square or rectangular format Shadeports are ideal for large areas with minimal support posts. 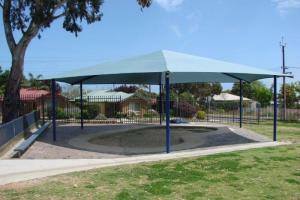 Multiple Shadeports can be linked together to shade large areas, with no real limits on total plan area. 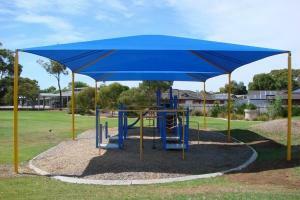 Ideal for large playgrounds or assembly areas, this modular system can be linked in line or multi-square format. 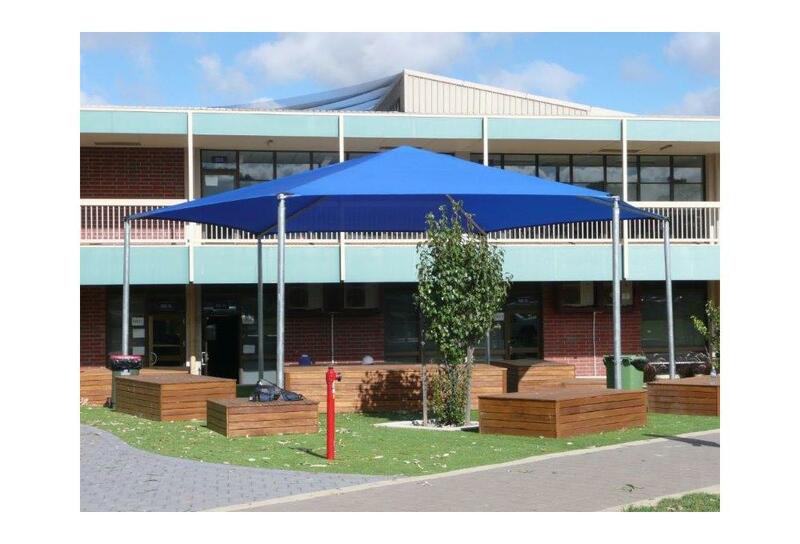 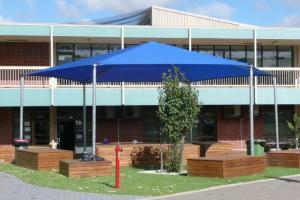 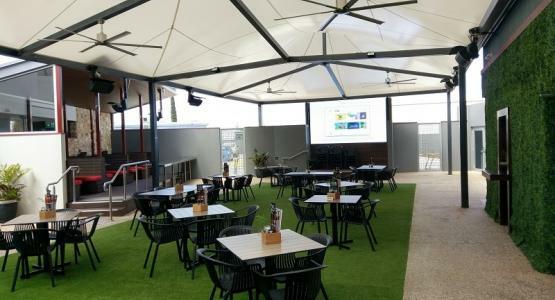 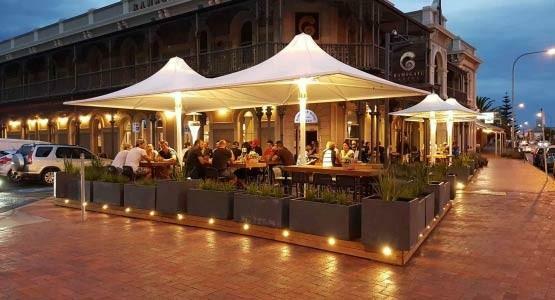 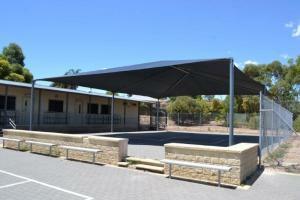 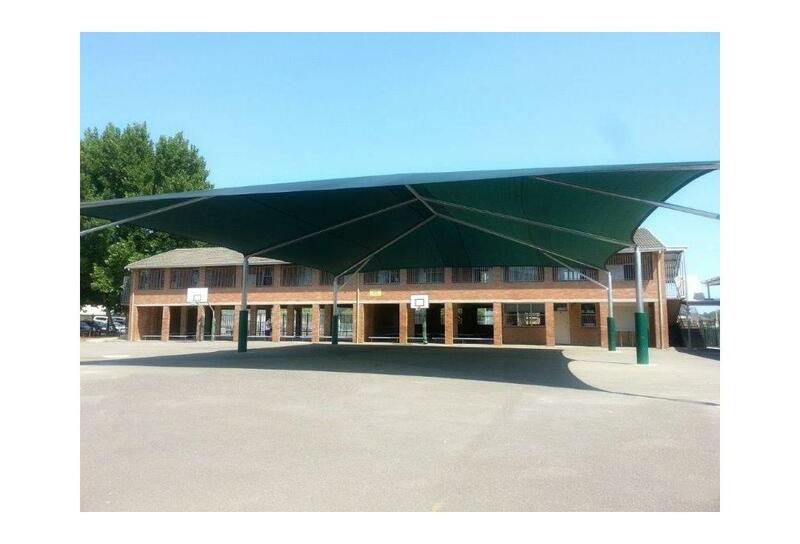 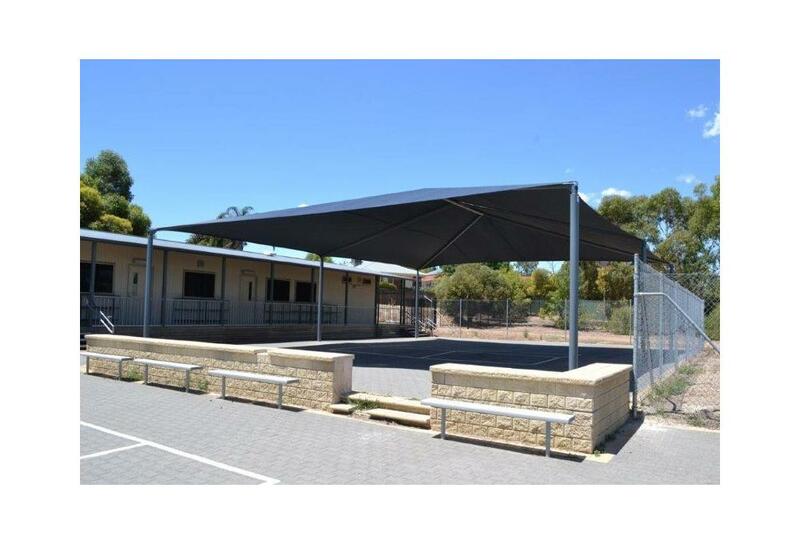 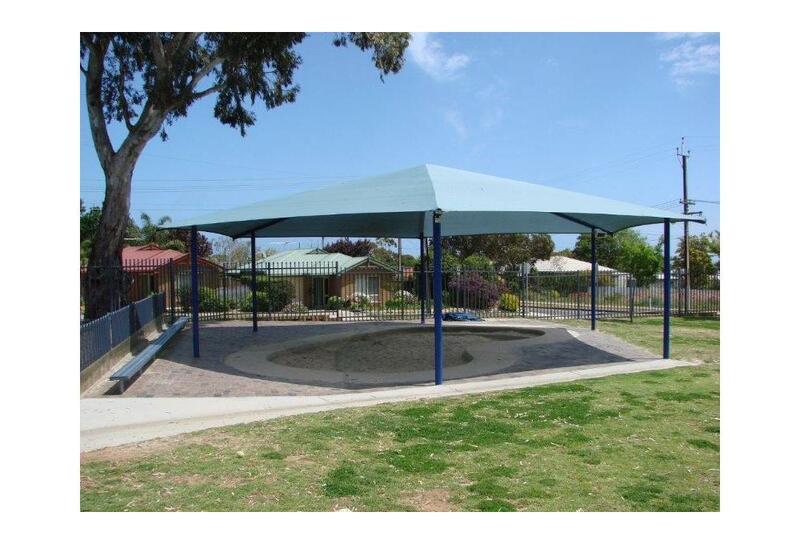 Hexagonal format Shadeports can provide shade over large areas with a striking and eye-catching structure. 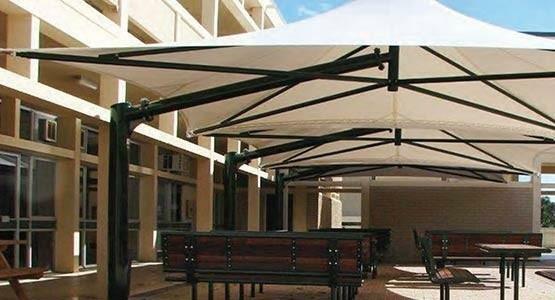 This configuration offers a perfect solution for areas that differ from standard shapes, allowing for more complicated layouts. 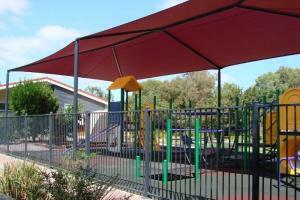 6 post shadeports, including a long central ridge and side strut rafters, allow for even larger spans. 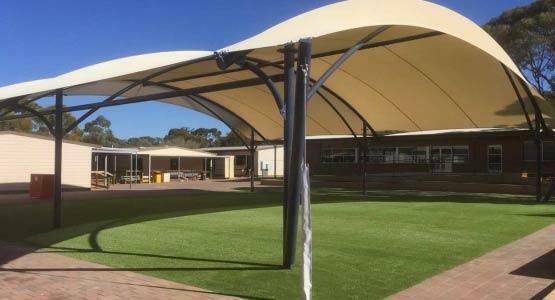 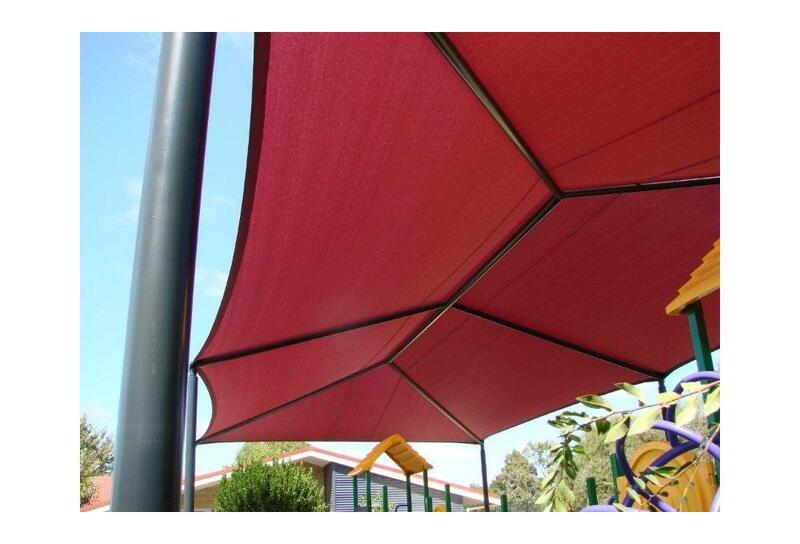 Perfect for areas that need covering to span over larg areas, the Long Ridge Shadeport can adequetly cover large areas that are complicated or large in area. 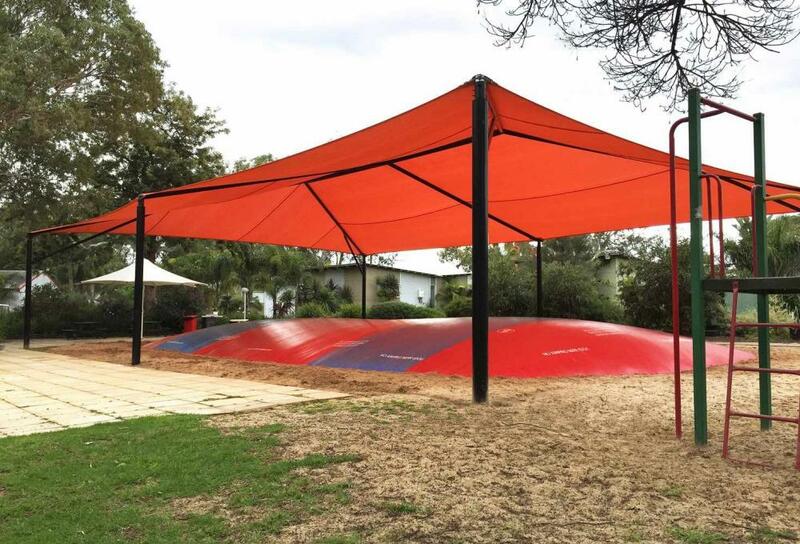 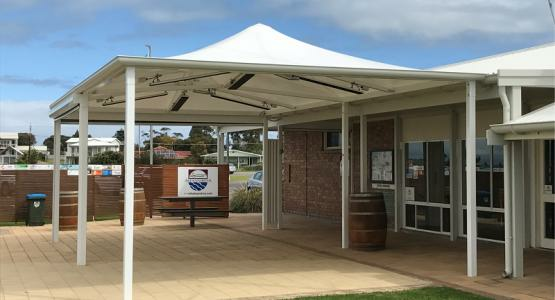 Shadeport frames can include rafter overhangs or other vandal protection devices, which can dramatically reduce the risk of damage to your installed structure. 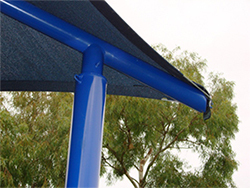 Ridge Protectors can also be incorporated into your Shadeport design, protecting the rubbing of fabric on the metal frame. 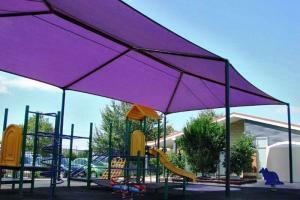 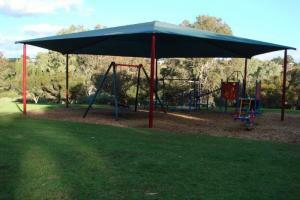 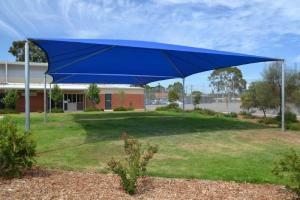 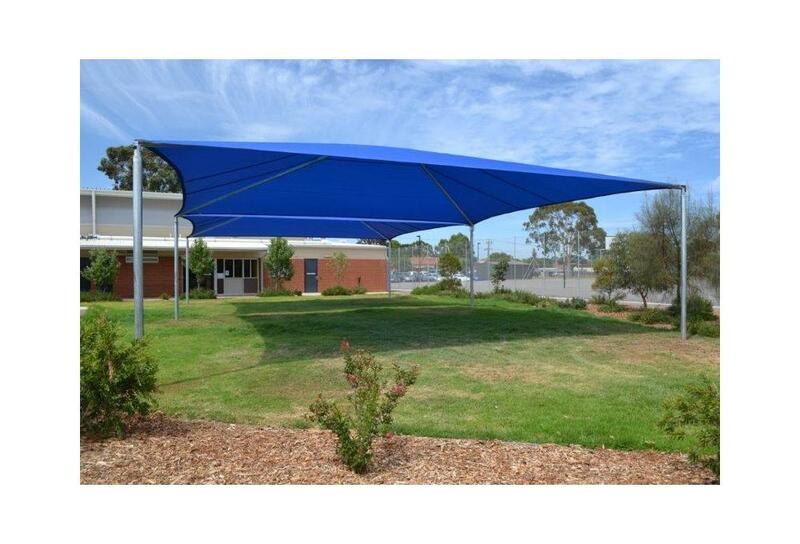 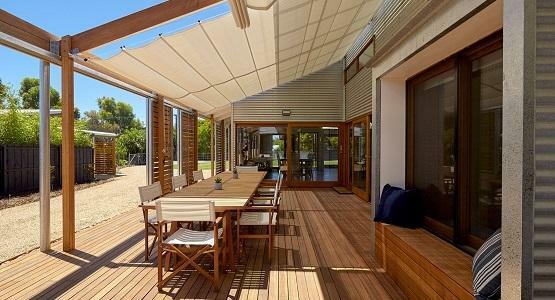 This allows the shade to last longer and reduce time spent on maintenance & up-keep.